This week was my parents’ 30th wedding anniversary. We had a big family celebration last weekend; great weather and great food! My contribution was my chocolate mudcake, made in a heart shaped tin. I also made this picture as a gift for my parents. 30 years is pearl, but similarly to when my grandparents had their diamond wedding anniversary earlier this year, pearls were out of my price range! 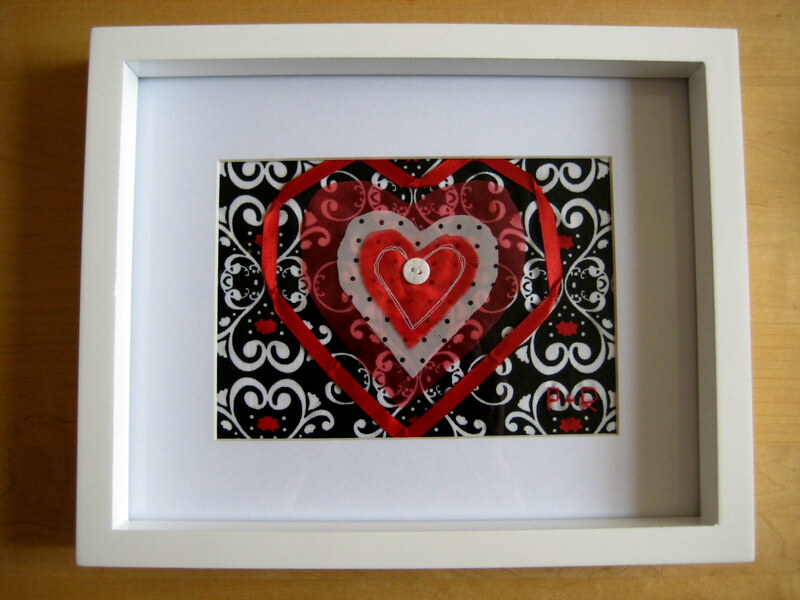 I did however manage to incorporate a mother of pearl button, so that had to do instead! These pictures are quite simple to make, you just need a few scraps of fabric and a bit of time. A photo frame (try to get a deep one, especially if you are using large buttons, so that it fits the frame depth wise). First of all select which fabric you are using for your background. I chose my patterned fabric because it was cotton (easy to sew onto) and I wanted to show off the swirly heart shapes in the print. Don’t use your see-through fabric for the background. Cut out a piece to fit in the frame (larger than the aperture). 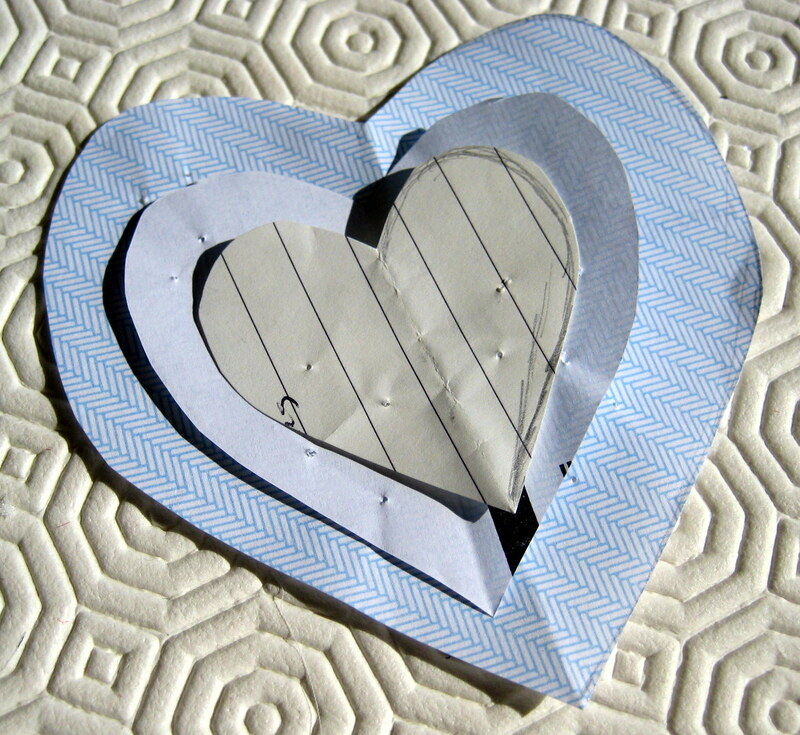 Checking the hearts will fit in the frame, make yourself 3 heart templates out of some scrap paper, pin to your fabric and cut out. I used one large red heart, one medium polka dot heart, and two small red hearts (overlapped to intensify the colour) in my picture. 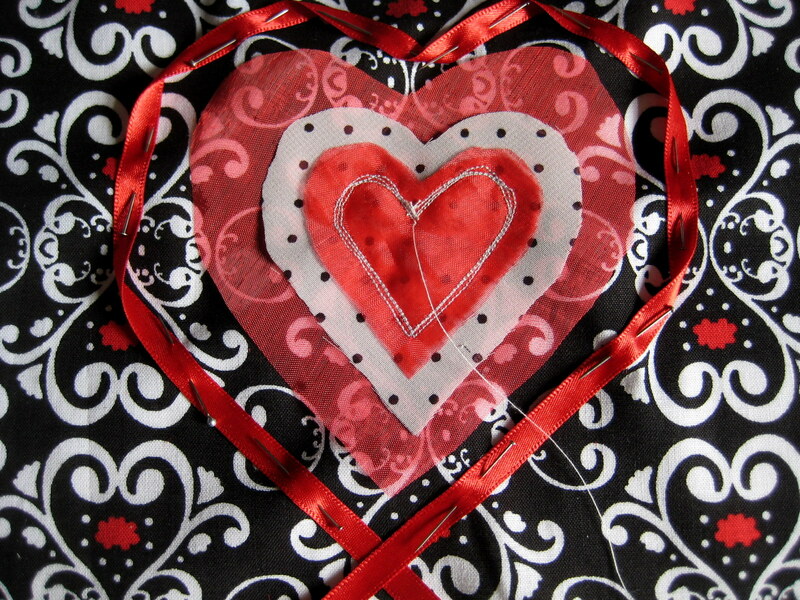 Pin the hearts to the fabric and, using a contrasting thread to the small heart, sew a few heart shapes to hold all the layers together. I did this on my sewing machine but you can do it by hand. I did a few rows for more impact. I also started at the top centre of the heart so that my button would hide the starting stitches. When you cut the thread, leave a length and use it to sew on your button. 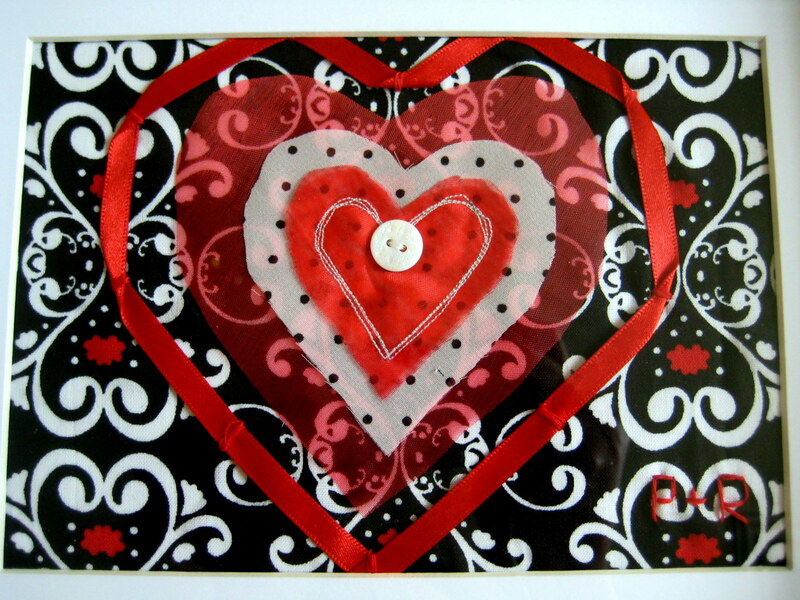 Finally, pin the ribbon around the heart, folding it to get the shape. Sew into place using a matching thread (I did this by hand). The last thing I did was embroider my parents’ initials into the corner to make it personalised, then glued the fabric to a sheet of paper so that it was easier to position in the frame. I used co-ordinating yarn to wrap this gift, and made one of my crochet hearts. 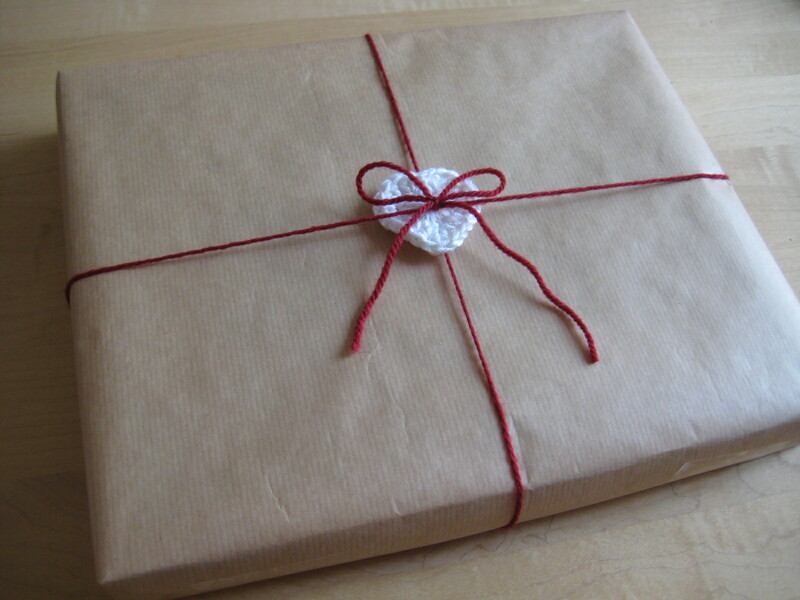 I love brown paper wrapping! Lovely gift. And so thoughtful to have made it.